There are two main types of auto glass used on most vehicles today. One is Laminated, and is usually only for the front windshields. Tempered glass is used everywhere else: the side windows, the back windshields, all of those tiny panes everywhere else. The differences in these two types of glass are fundamental, and essentially very simple. Tempered glass is sometimes called “safety glass,” because of an essential feature of its design. 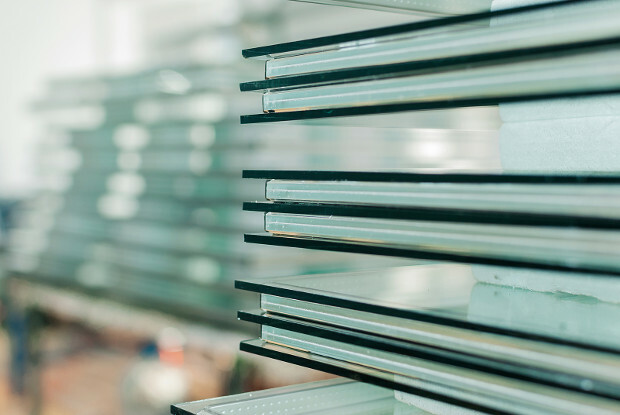 Tempered glass is manufactured in a process called tempering, which used cycles of rapid heating and cooling to make the glass stronger, much-much stronger, than a traditional pane of glass. Tempered glass, when it shatters, does not do so in jagged shards that can cut you if you look at them wrong. Instead, it disintegrates into a plethora of tiny glass balls, with little to no jagged edges to speak of. These glass BBs can be vacuumed up, and will not cause as much personal or property damage as traditional glass would in the same situation. Laminated glass, the stuff in your windshield, uses two panes of Tempered glass, with a thin inner layer of plastic or vinyl in the middle. This plastic is called poly-vinyl butyral, or PVB. The PVB layer is not just for structural integrity, although it does add some strength to the whole windshield. The main purpose of this layer is to keep the glass from exploding inward or outward on impact. If a rock hits the windshield, yes, the windshield breaks, but it remains in place in the front of your car, rather than exploding in on yourself and your family. The PVB layer may also be slightly tinted, to provide protection against the sun’s UV, or ultraviolet, rays. Your car’s windshield is also a failsafe for the roof, in the event of a rollover-type collision. The PVB layer, by keeping the glass in position, will provide essentially a built-in roll-cage, which can keep the roof from completely buckling down on you inside the car. Remember Jurassic Park? The car being smashed into the mud under a thirty-ton monster? The windshield was still in one piece, and stayed that way. Need I say more? Not every window or piece of glass in your car is laminated, and there is a reason to that madness. Because laminated glass does not shatter completely during a collision, if every window in your car was made with the laminated glass, rescuers would not be able to bust in to pull you out of the car. The PVB is not easily punctured; that is its whole entire purpose. The tempered-only glass in every other window on your vehicle will shatter and remove itself, and rescuers can then get into the car to get you out in the event of an accident. Laminated glass is created by taking two panes of Tempered, or safety, glass, and sandwiching a piece of vinyl/plastic called PVB between them. Laminated glass is used only the windshield of your car, and Tempered glass is used everywhere else. Both types of glass are stronger, much stronger, than traditional sheet glass, and provide a multitude of benefits to you in the event of an accident or other emergency situation. Or, you know, just thank your friendly neighborhood auto glass serviceman today.